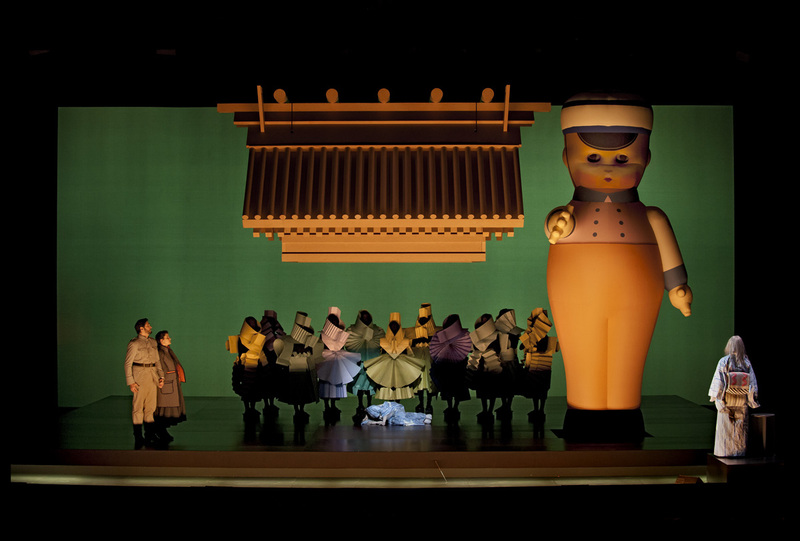 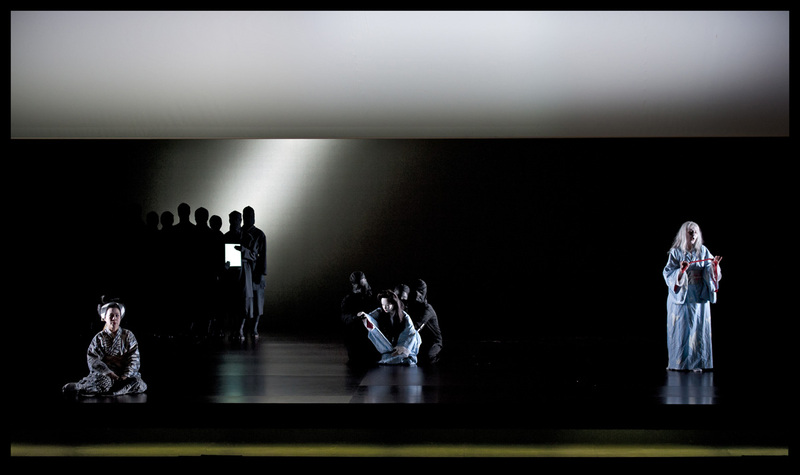 The singer telling the story, sings from the proscenium, while a life size puppet on stage creates a mute construction of her short life. 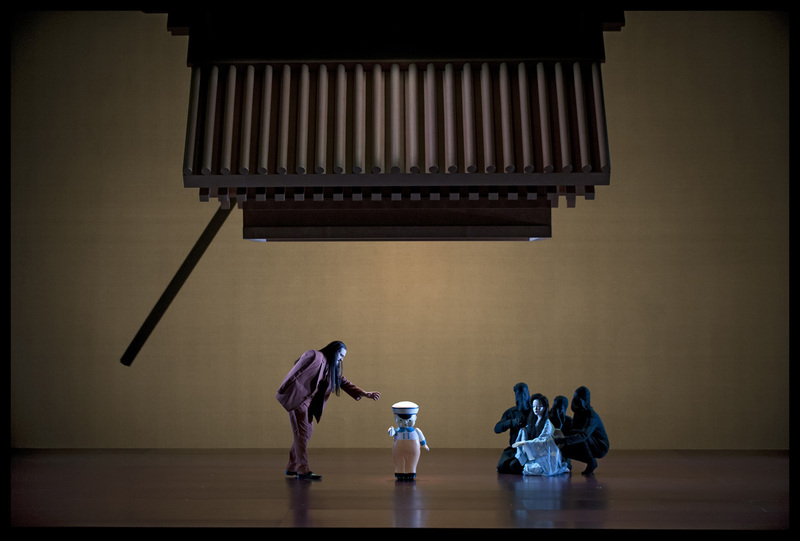 With the puppet’s opportunity of creating stylized expression of emotions and the pure musical performance of the narrating voice, the story's emotional layers are enhanced. 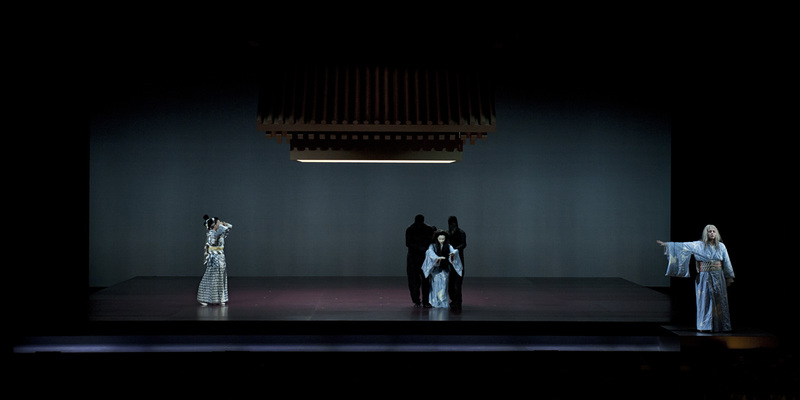 Other parts of the story’s underlying tones are made visible when black ninjas become threatening ancestors, and when ominous phenomena pop up. 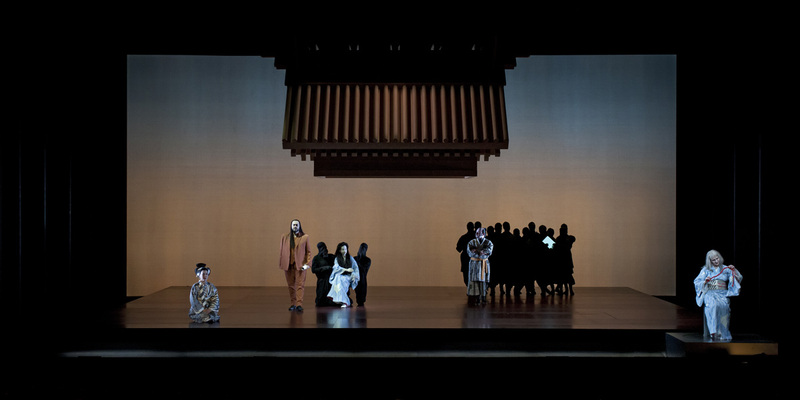 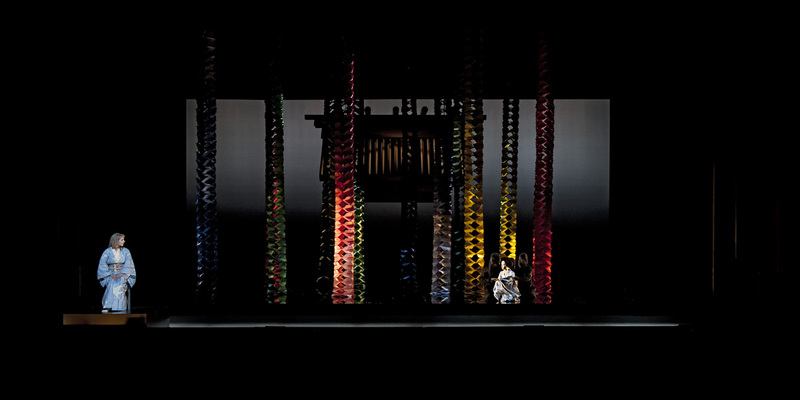 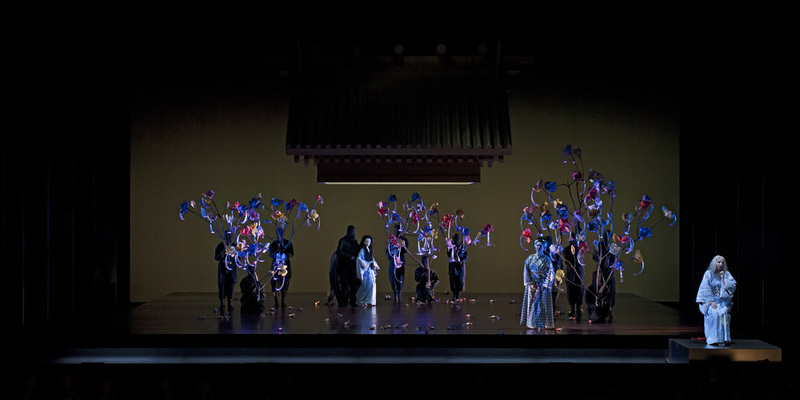 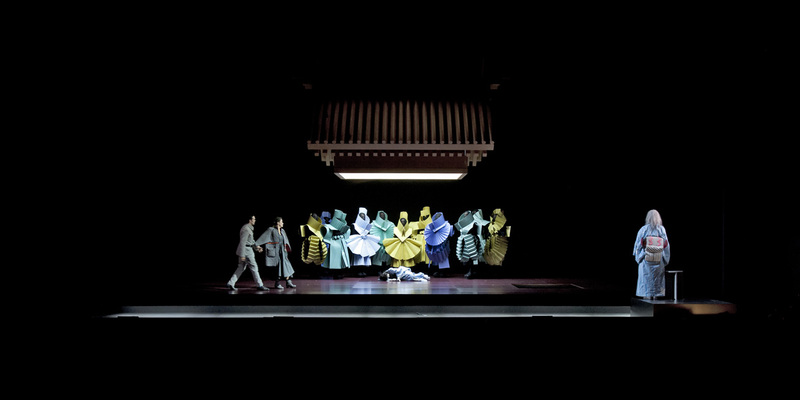 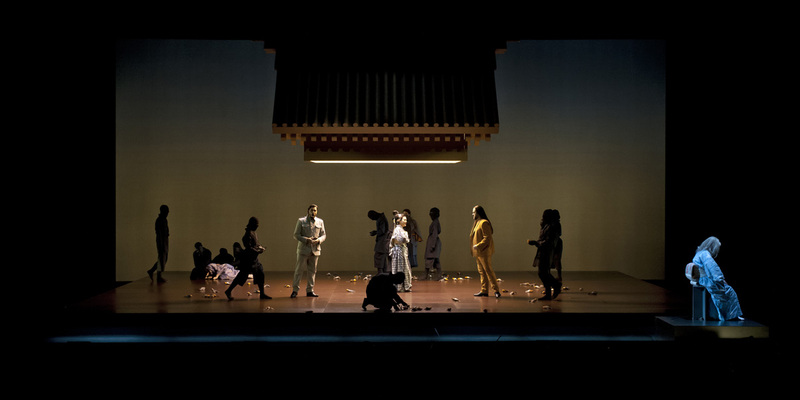 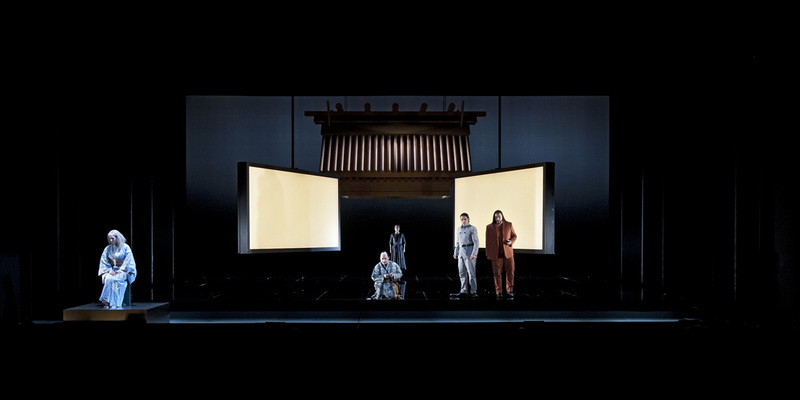 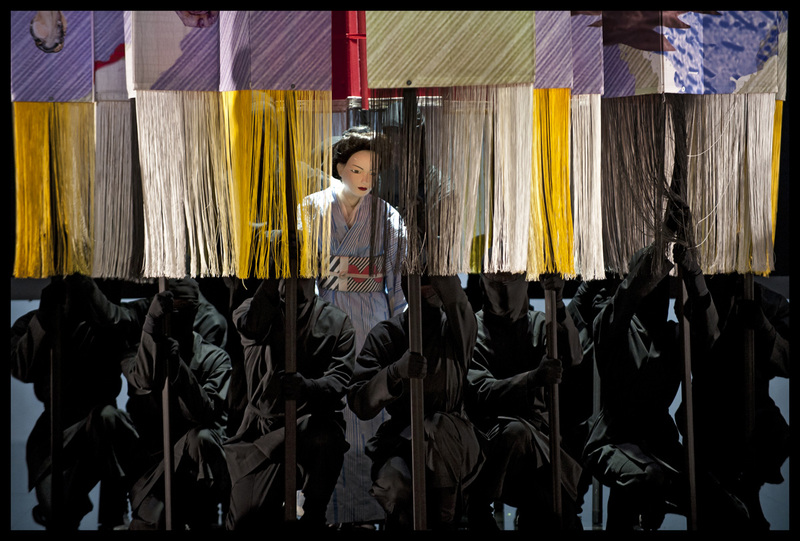 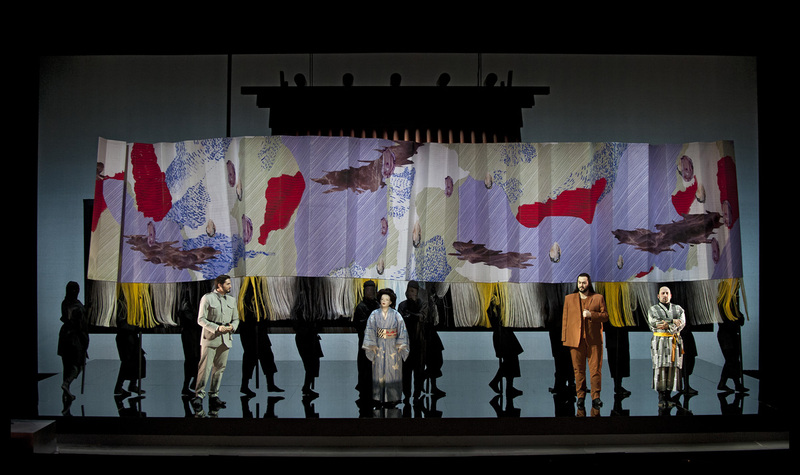 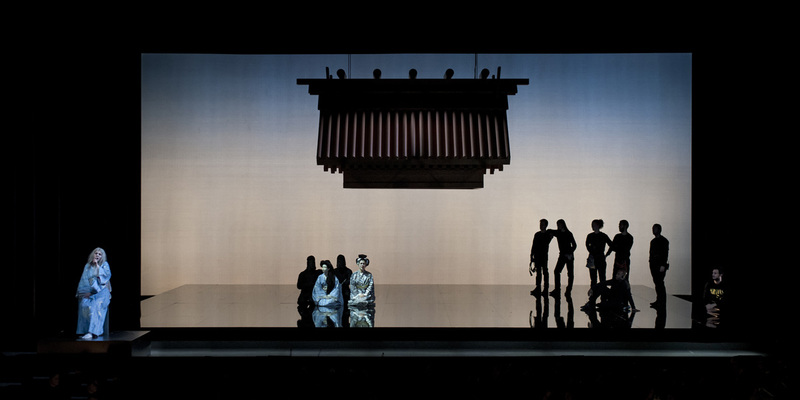 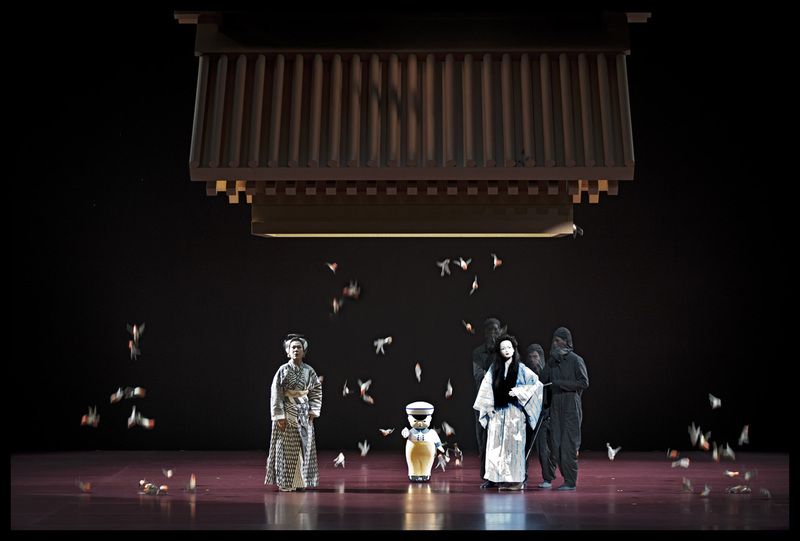 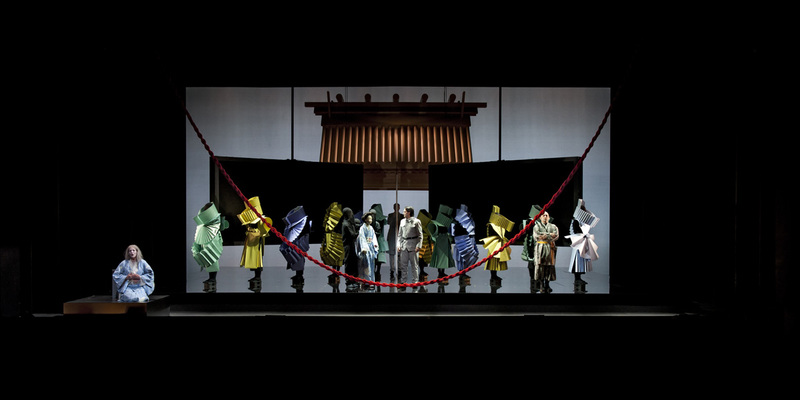 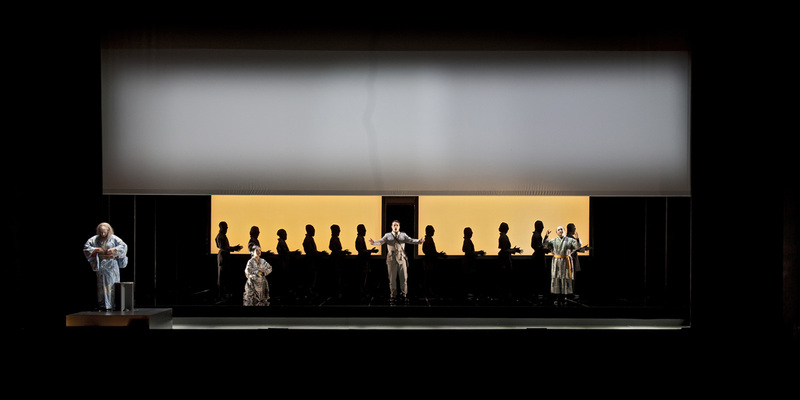 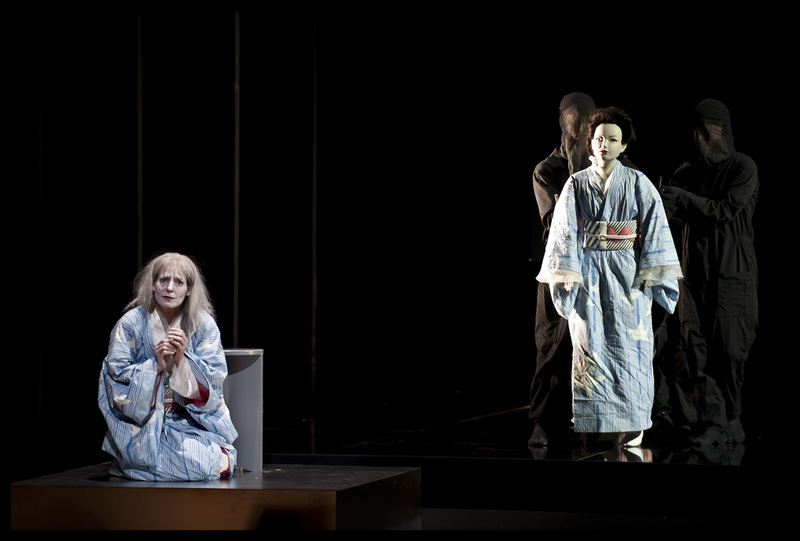 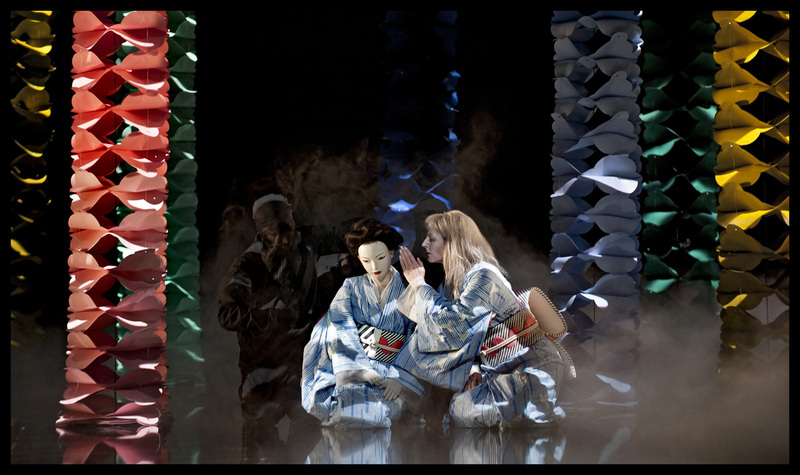 Madame Butterfly's death cannot be changed, but the story takes another twist at the end.